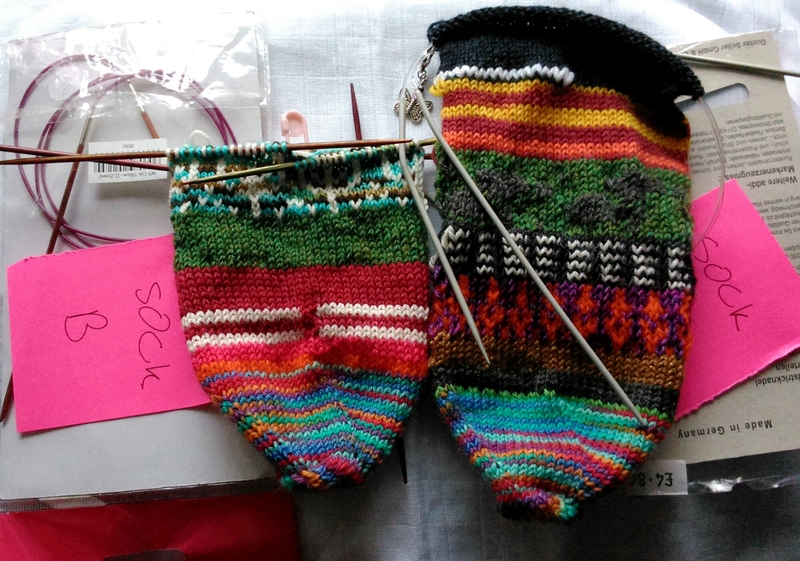 Progress on the Advent Socks, my only wip this week. Closer up (sock B on the left). 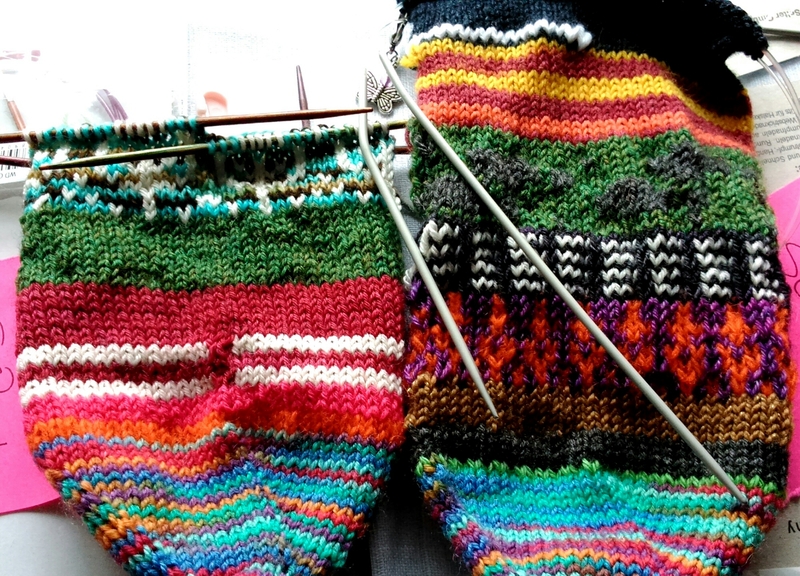 The white yarn in sock A is the waste yarn for the heel. Boring update, but I work with what I’ve got!